To reiterate, our city has been imposing a fee on developers to recover additional cost of infrastructure adjacent to a developer’s project made necessary by the development. However, our Supreme Court has ruled that fee is a violation of state law. Unless the law gets changed or the City Council finds an alternative source of funding, taxpayers will have to cough up the money. Based upon today’s tax revenue, $25 million of unreimbursed costs represents an extra two years’ worth of real estate taxes to be imposed on taxpayers. Whether the $25 million threat hanging over taxpayer’s heads is the result of bad legislation from the Legislature or a faulty decision by the court, the result represents overreach by state government. Local voters elect local officials to be accountable for land development and the fiscal consequences. They are better qualified to make decisions regarding developments in their own communities than bureaucrats huddled in St. Paul. Election to state office, or gubernatorial appointment to the Metropolitan Council or Supreme Court doesn’t endow the elected or appointed individuals with expertise to know better than local officials on how to fund developments in local jurisdictions. Undoubtedly developers applaud the Supreme Court decision that puts more dollars into their pockets at the expense of taxpayers, and I presume those who advocate the use of tax subsidy for so-called affordable housing are also pleased. But let me be clear. I don’t fault developers for taking whatever they can legally get, but I do fault elected officials and bureaucrats who take it upon themselves to give away taxpayer money to those who will pocket the profits. While affordable housing has a nice ring to it, it’s not my belief that government should be collecting and allocating taxpayer dollars to make housing, food, clothing or others of life’s necessities more affordable. When government mandates or participates in funding feel-good projects, taxpayers usually lose. Lack of both oversight and free-market competition often results in fraud and mismanagement, and there’s no shortage of examples to prove this point. The $25 million dilemma serves as a reminder that long-range decisions based upon hope and hype can have costly consequences. For at least 25 years, Prior Lake City government has been obsessed with growth, with more emphasis on how to achieve it rather than on how to restrain it. During my six years on the council (1996-2001), City Hall pushed a growth agenda by implementation of an Orderly Annexation Agreement for township land. I attended township meetings and learned firsthand the majority of township residents opposed annexation. I also heard counsel from our city’s finance director, who cautioned annexation would add additional tax burden because of infrastructure needs. The arguments in favor of annexation were never very compelling because they always seemed to be based on a myth that bigger is better without regard to unintended potential consequences. While there never was any doubt that annexation could impose additional tax burden on current residents, the unintended consequence of growth-by-annexation has now been quantified. Much, if not most, of the $25 million liability is the result of potentially unfunded infrastructure costs related to future development on land annexed under the Orderly Annexation Agreement. Hopefully this present dilemma will provide a wake-up call for future councils not to be overly influenced by guidance from the Met Council. Visions based upon hope and hype don’t provide a foundation for sustainable long-range development, a fact our current City Council seems to understand. The City Council’s options are somewhat limited by law and precedent, but they’ve committed to tackling the issue in a fiscally responsible manner. This Council didn’t create the problem, but as often happens, it’s theirs to fix. Some members have already demonstrated by action that they believe residential and commercial development should be self-supporting. When the developer of the workforce housing project on County Road 42 was trolling city, county and federal tax coffers to see how much subsidy could be raked in two years ago, our City Council majority voted no. Unfortunately, in that case our county Board of Commissioners acquiesced to the developer by throwing in even more taxpayer dollars. Wes Mader is a former Prior Lake mayor. 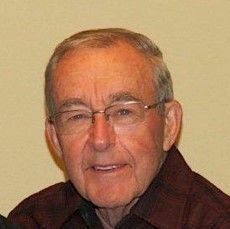 Following retirement after serving as president of Bowmar Aerospace and Defense in Ft. Wayne, Indiana, Wes and his wife Char retired in Prior Lake.